As I’m sure most of you know, the country of Nepal was hit by two devastating earthquakes within the past two months, one on April 25 with a magnitude of 7.8, followed by a 7.3 on May 12. These earthquakes killed thousands of people and devastated hundreds of thousands of homes—leaving almost 3 million people displaced, and an even greater number without food, water, or shelter. Only 20 hours after the first earthquake, Samaritan’s Purse had team members on the ground, responding to the disaster. That response continues to this day with long term relief and development that is rebuilding communities and providing for the most basic needs of the people. I would like to give you a brief update of all the work that Samaritan’s Purse has been doing to serve the people of Nepal in the name of Jesus over the past two months. 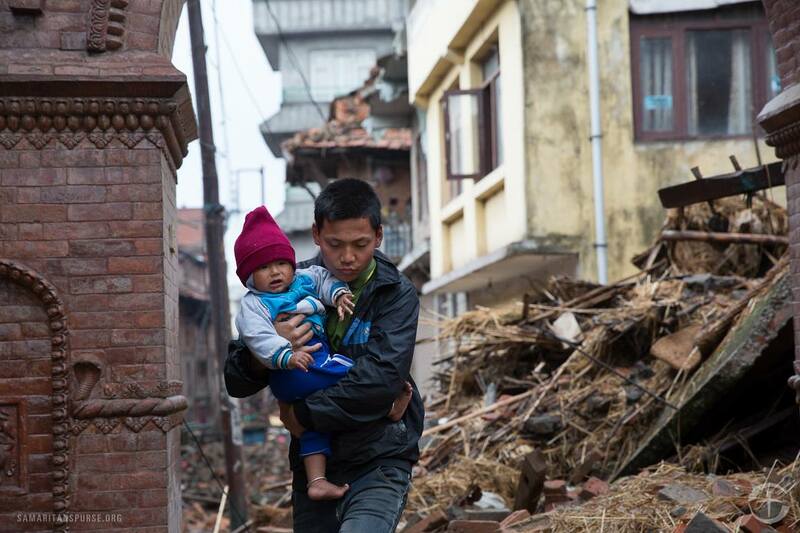 Samaritan’s Purse has provided emergency relief to 50,000 families in Nepal—having deployed 7 charter flights and 101 trucks carrying 1,177 total tons of supplies. This includes food, tarps, cooking kits, hygiene kits, and blankets. About 4.2 million people need clean water, sanitation, and hygiene supplies because of the earthquake. The hygiene kits that Samaritan’s Purse distributes include water purification tablets, jerry cans, soap, and other items. The team also trains villagers on good hygiene practices and how to purify their water. The food that many Nepali grew around their homes has been buried in the destruction, and many don’t have access to markets to buy food. The team in Nepal has provided 100 metric tons of food, which include a week’s worth of rice, lentils, salt, and oil per family. In partnership with the Nepal Red Cross Society, the team is also assisting approximately 200,000 households through additional food distributions and providing nutritional support to nearly 8,000 children. For families that have lost the means to cook their food, Samaritan’s Purse has provided kitchen kits, with basic plates, cups, and silverware, allowing them to prepare the food distributed to them, and have a sense of ownership of something tangible once again. Samaritan’s Purse is working to provide shelter kits to homeless families, who are in desperate need of protection from the rapidly approaching monsoon season in Nepal. They are also giving several blankets to each family. Even with shelter, nights in the mountains of Nepal can be very cold, and these families need as much protection as possible from the elements. Please pray for wisdom as our staff members evaluate the needs and opportunities in this impoverished country. Pray for many Nepalis to turn to “Christ, the Son of the living God” (John 6:69) Pray that He would be their hope through this tragedy. Pray for our church partners to have strength and boldness as they minister in the aftermath of this crisis. To read more about the work of Samaritan’s Purse in Nepal and see the relief that is being provided, visit samaritanspurse.org.